I’ve been following McCafferty’s rise to stardom within the emo scene since they began writing music in 2012, and this tour is without a doubt the largest bill they’ve been on yet in their career. 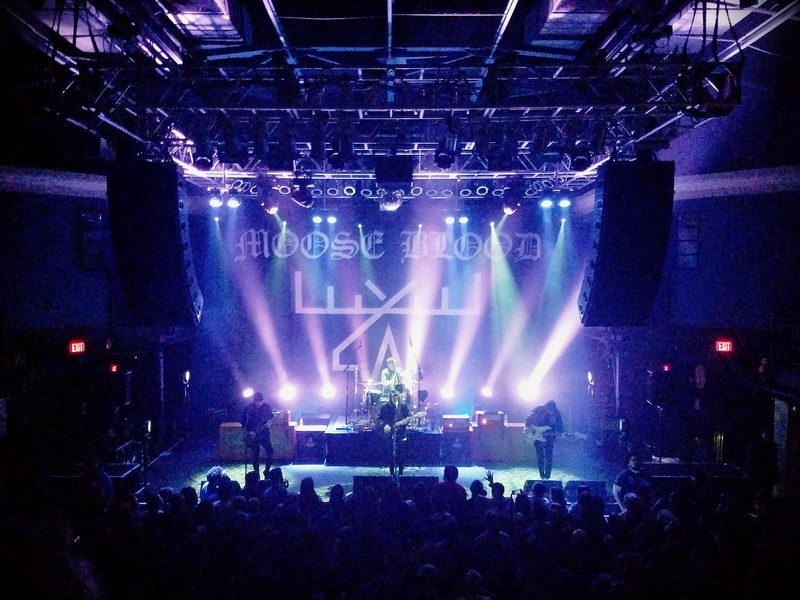 On Sunday March 18, UK based emo/pop punk band Moose Blood played a banger of a set at the 9:30 Club in Washington DC. The Hopeless Records band began their North American tour on March 14, hitting the road with Arizona indie rock band Lydia and Ohio based indie punk band McCafferty. The band’s third studio album, I Don’t Think I Can Do This Anymore (2018), was released on March 9 and has proven to be some of the bands strongest material. The combination of the lead singer’s (Eddy Brewerton) very sharp vocals and the heavy riffs from lead guitarist (Mark Osbourne), this album, in my eye, is proving to be on the best pop punk albums of 2018 so far. The night started off with McCafferty taking the stage promptly at 8 p.m., playing for a nearly packed house. I’ve been following McCafferty’s rise to stardom within the emo scene since they began writing music in 2012, and this tour is without a doubt the largest bill they’ve been on yet in their career. 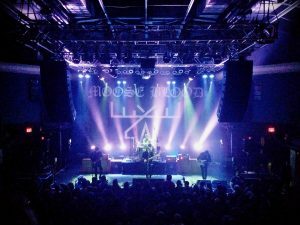 It was cool to see them playing at the 9:30 Club rather than a small bar like the Strange Matter in Richmond, VA where I first saw them a few months ago. They started the set with their newest single, “Strain,” which got the crowd dancing and warmed up quickly. Crowd favorites such as “Alligator Skin Boots,” and “Yours, Mines, Ours”, were the highlights of the set for me. McCafferty’s second studio album, Yarn, is set to be released on March 23rd through Triple Crown Records. Lydia, an indie rock band from Gilbert, Arizona went on next and they were better than I had expected. Before the show I had never heard of Lydia before, despite them being an active band since 2003. Although I didn’t know who they were, it seemed like everyone else in the venue did! They played a very hyped set that was accompanied by nearly everyone singing and dancing along to each song played. My favorite part of their time on stage was the bands surprise cover of OutKast’s song “Ms. Jackson“. Their seventh studio album, Liquor (2018) is set to release July 13 and I will for sure keep my eyes and ears out for that release! Finally, Moose Blood ended the night off by playing 18 of their most popular songs in their discography. Before they began to play any music, lead singer, Eddy Brewerton said to the audience that he had come down with a case of laryngitis and that he would try his best to give us a proper good show. They opened with “Talk in Your Sleep”, the lead single off their newest album. Things really began to amp up when the band transitioned into the song “Bukowski”, which is the perfect sing-a-long to get everyone moving and the momentum continued through the rest of the night. Other notable songs performed that night was “Knuckles” and “Cherry”, which Eddy Brewerton said to the crowd that it was his favorite song the band has ever written because he dedicates it to his wife and daughter whenever they play it live. Although the vocals weren’t the strongest due to illness, the band made up for it with their showmanship and overall putting on a banger of a show.